PlayStation 4 gamers might be able to play Rise of the Tomb Raider in about three months, at long last. The latest Lara Croft game released months ago on Xbox One and then PC, with Sony’s console left in a limbo due to an exclusive agreement between Square Enix and Microsoft. That exclusive agreement will soon expire, though, and Gamestop.it now listed Rise of the Tomb Raider’s PlayStation 4 debut for October 11th. It seems to be a full price release, though it will likely include all of the available DLC (Baba Yaga: The Temple of the Witch, Cold Darkness Awakened and Endurance Mode). We don’t know yet if Nixxes or perhaps some other studio will handle the PS4 port. A magnificent game that seems to have built upon the original Tomb Raider reboot to provide an experience equal to, and even better than that in almost all respects. The result is an amazing game on all levels that has to be experienced to truly be enjoyed. In the game, Lara Croft sets forth on a mission to discover whether his father’s research on immortality has any root in reality. 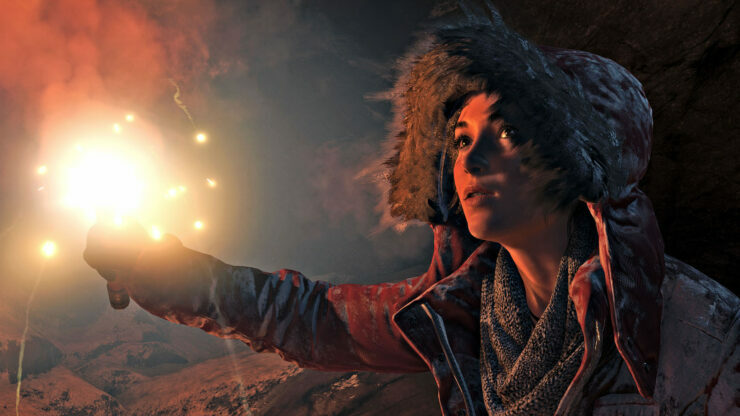 Set primarily in Siberia, Rise of the Tomb Raider doubles down on survival mechanics (even more so if you activate Endurance Mode) while greatly expanding on the titular “tomb raiding” in comparison to the Tomb Raider reboot released in 2013.